With a wealth of traditional style, this love seat is sure to create a handsome setting in your home. 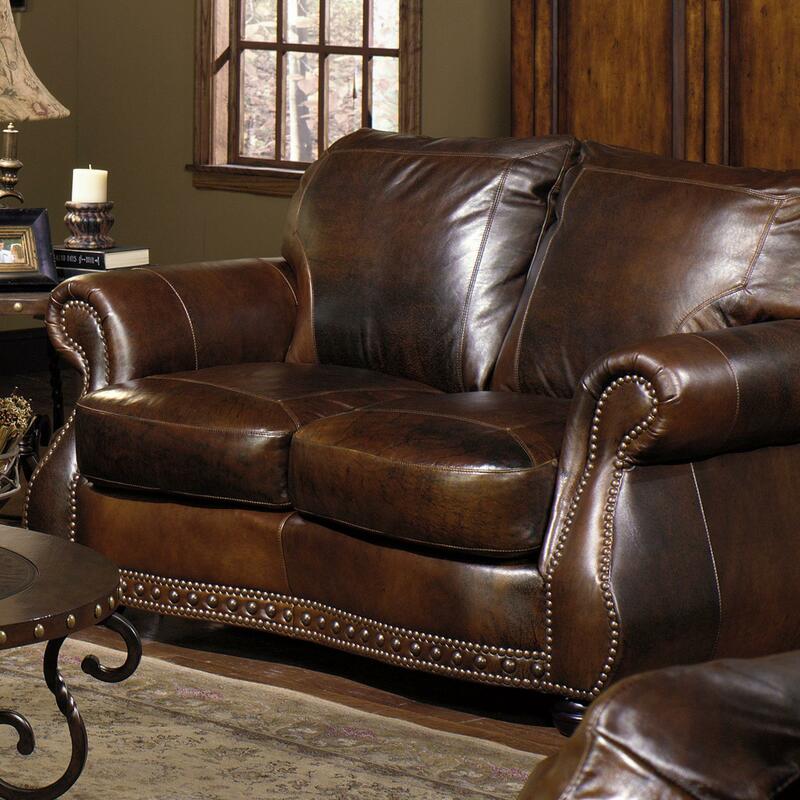 The piece carries a genuine leather upholstery that's carefully tanned and dyed for optimum levels of softness. The slight variations in the texture and Cowboy Chesterfield tone of the leather brings out the naturalness of the product and attests to great quality. Plus, the nailhead trimming, rolled arms and bun feet only add another element of sophistication. Bring a rich quality to your home decor with help from this love seat. The 8755 Loveseat w/ Nail Head Trimming by USA Premium Leather at Miskelly Furniture in the Jackson, Pearl, Madison, Ridgeland, Flowood Mississippi area. Product availability may vary. Contact us for the most current availability on this product. Warranty A Lifetime Limited Warranty is given by USA to the original retail purchaser, covering the frame and coil springs, in the under-construction of the frame, against failure or breakage under conditions of ordinary residential use. With a wealth of traditional style, this upholstery collection is sure to create a handsome setting in your home. The pieces carry a genuine leather upholstery that's carefully tanned and dyed for optimum levels of softness. The slight variations in the texture and Cowboy Chesterfield tone of the leather brings out the naturalness of the product and attests to great quality. 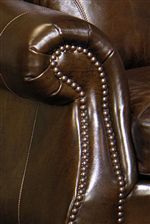 Plus, the nailhead trimming, rolled arms and bun feet only add another element of sophistication. Bring a rich quality to your home decor with help from this love seat and sofa. The 8755 collection is a great option if you are looking for Traditional furniture in the Jackson, Pearl, Madison, Ridgeland, Flowood Mississippi area. Browse other items in the 8755 collection from Miskelly Furniture in the Jackson, Pearl, Madison, Ridgeland, Flowood Mississippi area.